Description of Directors and Officers Liability Insurance. Explanation. Directors and Officers Liability Insurance is a form of business insurance that covers executives and the board of directors of a company, and/or the organization itself, in the event they are sued in conjunction with an (alleged) malpractice, error, omission, ambiguous assertion, violation of duty in the performance of their duties as they relate to the company. Most allegations involve decisions, acts, errors or omissions that have lowered stock values, compromised competitive industry position, wasted corporate assets, or overlooked significant growth or investment opportunities. These can result in financial injury to stockholders, employees, investors, and other third parties. Generally, fines or penalties, taxes, treble damages, and matters uninsurable under law are not covered. Directors and Officers Insurance must not be confused with Errors & Omissions Insurance. The two are not synonymous; Errors & Omissions is concerned with performance failures and negligence with respect to products and services, not the performance and duties of management. Generally it is advisable to carry both Directors and Officers Liability Insurance and Errors and Omissions Liability Insurance. A D&O liability insurance was introduced for the first time by Lloyd’s of London in the 1930s. It was an innovative professional and liability policy because before then a coverage for executives did not exist. Over time people understood the advantages of an insurance for corporations and their managers. Today directors and officers liability insurance is evolving, because there is an increase in petitions against directors and officers due to the more litigious nature of society. Nowadays directors can be legally responsible for causing damages which may or not be under their direct control. So, directors and officers need to be protected depending on their position within a corporation. Insurance companies have created innovative products to protect various target customers and specific situations. A policy may include standard coverage or additional options. Directors and officers are covered only if claims occur during the policy period. Insuring agreement A, or A-Side coverage, provides coverage directly to the individual directors and officers. Insuring agreement B, or B-side coverage, or corporate reimbursement, reimburses a corporation when it indemnifies the directors and officers. C-side coverage, or entity coverage, provides coverage to the corporation (organizations) itself for securities claims brought against it if they are not covered by a general policy. Employment Practices Liability (EPL) protects directors, officers, employees and/or companies against employment-related claims. For example, claims for wrongful dismissal, failure to promote, sexual harassment and other violations of employment or anti-discrimination laws are included in this coverage. Most D&O policies provide coverage for defense costs. Fraud generally is normally not included in a D&O policy. D&O policies generally define a claim as “any civil, criminal or administrative proceeding, or written demand for damages against an insured”. Policies cover damages and defense expenses up to the (maximum) amount of coverage. The coverage could vary depending on the nature of the insured company (public or private). 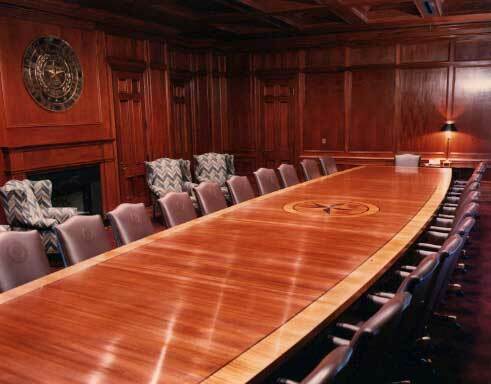 Directors and officers liability policies tend to be customized to the clients’ needs. Publicly held companies are those who receive the biggest number of claims compared to small businesses.. This ends our Directors and Officers Liability Insurance summary and forum.